Fast on the heels of the successful launch of AudioQuest’s first foray into headphones, the NightHawk, in comes a new headphone, called the NightOwl. 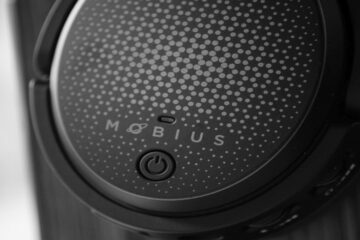 This closed back very cool Carbon designed headphone is priced at $699.99 and is designed to compliment the companies previous semi-open NightHawk headphone. Note you can now get the NightHawk now in a liquid wood carbon design as well as the original lighter colored liquid wood finish. This is a headphone for those who wanted a bit more seal, some more isolation or generally enjoy a closed headphone over more open design headphones. It still retains more or less the same engineering and articulating design as the NightHawk so they do look relatively similar in feel and form factor. The NightOwl is marvelous feeling in the hand and exudes both class and style, top to bottom. The grills are 3D printed and the headband suspension system allows for excellent comfort with a moderate clamp factor. Combined with very soft leather and velour pad options, the experience is supremely comfortable. True, I am not fond of the size of the headband, a pet peeve of mine, itstill is very comfortable and can be worn indefinitely. Heat is an issue, but that is due to it being a fully closed system. The dark color scheme is also not helping if you are sitting near a window or outside with the sun shining on you. It tends to heat up quickly, but that is to be expected again with this type of a design. Top marks all around for build quality, no doubt about it. Oh, boy. Well…can’t win them all, I guess? I am not at all fond of this cable, but I’d rather not express my subjective opinion here too much. The stock short cable included is 3.5mm mic enabled, meaning I can’t use it on normal headphone amps and DAC’s without a garbled sound. I need to swap out to my old NightHawk Balanced XLR cable, and then connect that to a ¼ adapter I had custom made for me to get this to work on normal 3.5mm audio amps. Or, I can string together a mess of adapters and try to trick the signal. 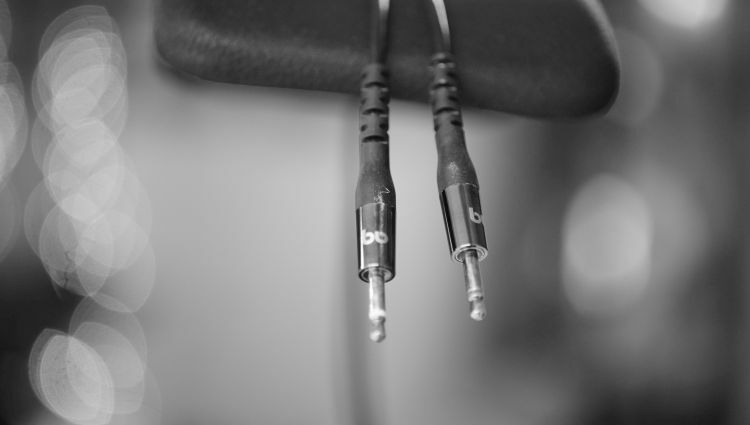 The heft of the cable is also an issue, it is very similar to Audeze’s original LCD series garden hose cable. 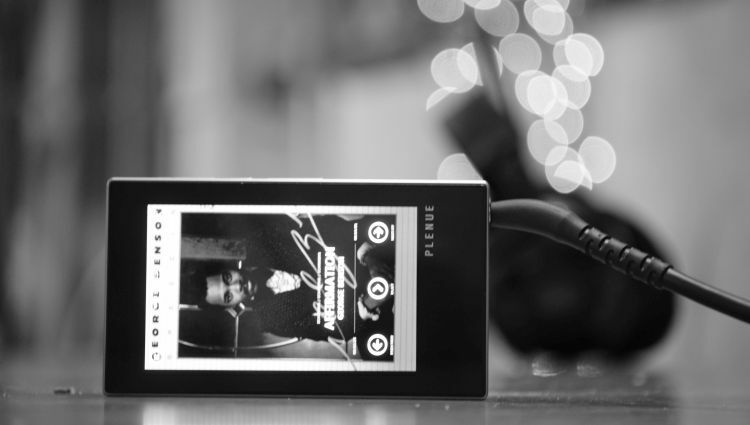 It is simply too thick and stiff, often bunching up and despite being of a portable length, is very hard to wrap around my portable music player to pocket and move around with. Let’s not continue with cables like this in the future. Nobody wants them. Thankfully, the older Hawk cables I have are friendly to this newer NightOwl, so I can’t complain too much and on a personal level. The NightOwl comes with, perhaps, the most useful case I’ve come across in a while. This leather zip case has a front panel that is solid and also has a ton of space inside. I can’t say anything but vividly positive things about this case and also can’t help but shrug on the idea of if I really need to say more about it. It is gorgeous and extremely well made. Enough said. Team AudioQuest was gracious enough to send me their new headphone stand as well, which is probably the single most hefty and dense feeling stand I’ve ever held. My goodness, this is a $79 solid metal from top to bottom piece of art, also sporting a safe and soft exterior for the headphone to rest on, instead of bare metal. Fantastic accessories offered! This Owl hits harder than the Fostex TH series headphones. Yep, it really is a monster in that regard. If you like abundant physical impact and high levels of low-end dynamics, this is the set for you. Despite being powerful, I do not consider it harsh. Tracks without a ton of bass do not ever come off as annoyingly painful or impacting, so no worries there. 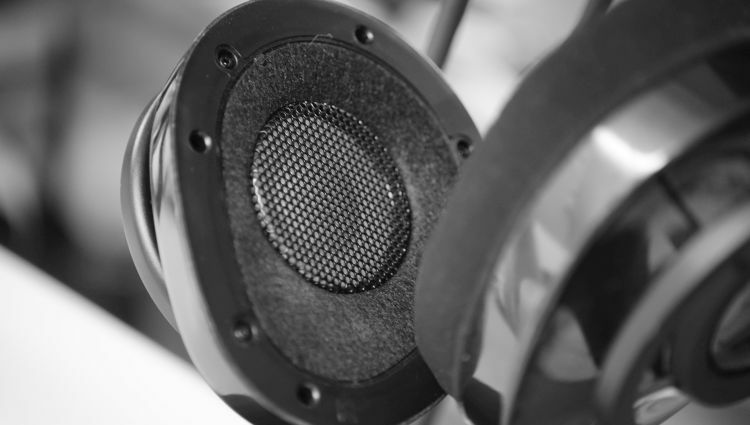 When the track calls for it, bass can really pack a serious punch, or it can feel relatively soft. Seems to be very track dependent here, which is a fantastic thing. The depth of the bass response doesn’t hit the guttural level of my Fostex TH-X00, but the Owl still performs well on literal response quality. It also seems to respond nicely to EQ as well, feel free to boost a little or drop off a bit if you want, the Owl can handle it without going too far into the murky waters out yonder with some EQ here and there. Quality is just good, in my opinion. My answer to if it compares to the TH series from Fostex would be no, it doesn’t. But, it isn’t at all lacking, at least not in my opinion. For a closed back, the bass texture is as expected: dense and vivid on dynamic impact factor. I expected exactly what I’d received. Raw Quality is severely lacking by comparison to the Focal Elear, which right now is only $150 more than the NightOwl. Then again, the Elear is literally untouchable for quality across the board at the $999 and under range, it also uses a totally different type of Beryllium open driver. The Owl uses a normal dynamic driver. Is that a bad thing? Not really. More options are always a good thing, the Owl is still a good performer here with bass quality, it just isn’t top tier for the price range of $500 – $1000 or so. Team AudioQuest has fixed the recessive traits of the older Hawk inside of this new Owl. No longer do I feel like the experience is a dense cavern that loomed off in stage forward in an unnatural sense of the word. Now, the new Owl sports a much more forward and cohesive experience in the middle vocal areas. This is now a noticeable improvement over The Night-series’ competition models (Fostex TH-series) in both heft and smoothness factor. By comparison, all the Fostex models, especially the more expensive TH900, feel significantly thinner and hollowed out. There is still a bit too much bleed from the low end up into the midrange for me, but this is also a solid improvement over the NightHawk in that area. This feels like a good dynamic sound signature, something with good heft and solidity factor, thankfully nothing was overly done in the middle areas of the frequency range. Again, I circle back to the Focal Elear, which isn’t that much more expensive and can be had used for the same price as a new NightOwl…and it really isn’t fair to compare the realism and overall heft to a headphones substance factor of the Elear with anything else sub $999. If you are ignoring the top of the price tier, the Owl is still a good deal in my book. I have to remember that AudioQuest is still a relative new comer to the headphone game, and they’ve just proven they actually are listening to consumers and are willing to improve the specific areas and faults of the previous model. In my humble opinion, the treble of the NightOwl obliterated my Fostex TH-X00. It is actually very difficult to swap from the Owl to the TH-X00 and keep a straight face when referencing anything on the top end. Thankfully, no nasal tendency. However, the treble is certainly on the musical end of the spectrum and is offering some boost, some vividness, and sparkle. It also has a little kick to it, which I find satisfying. This reminds me a lot of the older Z7 from Sony, which is a headphone with treble I really enjoyed. Quality seems just fine and more than satisfactory for this price tier. To my ear, the entire upper end is the strongest quality the headphone had to offer in terms of literal fidelity. AudioQuest is doing good things here. I don’t find it harsh or overly impacting, nor do I find it bloated or dull. Quite the opposite, in fact. I consider the upper end to exude a solid overall experience that is enjoyable regardless of the genre. So long as the track is not horrendously recorded, I can listen with a musical ear indefinitely. That is so hard to find these days in a closed back. I wasn’t surprised when I first placed the Owl on my head and gave it a listen. I was met with a spacious and open sound stage. For a closed back, this is very good. I wouldn’t consider it massive or into the excellent tier, but just very good in that respect. The older Hawk still sounds more effortless and aired out, but considering again the Owl is totally closed in design, this is a great achievement. Not many closed back sets in the sub $700 tier offer this. Height is actually the only downside here, as I don’t find the image itself to be particularly exciting in image void height factor. Vocals could use a bit of a larger feel to them, that is for certain. But, width and depth of field are both reaching into the very nice areas. I don’t feel let down by the imaging overall and with all aspects considered. Still not as large and vast sounding as ye’ old Fostex TH-series though. I think it will be some time before anyone makes a semi/closed back that can match those Fostex drivers. But, if AudioQuest keeps up with how well they are introducing new products with improved sounds over the last models, I’d expect a TH-series direct replacement in the near future from them. Not many choices out there for vast sounding closed backs, but the Owl is certainly now on that list. Thanks to the 25Ohm impedance, the Owl responds extremely well to your pick of a decent mid-tier DAP, even more so to the higher end portable players out there, such as my Cowon Plenue M the Owl is very efficient and doesn’t at all benefit from a lot of power. In fact, it actually feels overdriven very fast on my larger home rig amplifiers: the Airist Audio Heron 5 and the Euphoria from Feliks Audio. I am not supposed to be using powerful amps anyway with this headphone, but I wanted to test the noise ratio with high gain to see how it fared. The results were just okay with noise performance. The Owl gets a bit noisy on high gain, but that is to be expected. You don’t need high gain due to the efficiency rating being so low and intended for friendly usage with portable players. Direct out of my Plenue M, not a peep out of it. I suggest moderately musical amplifiers and USB DAC’s for this one. The reason for that is due to the relatively dry and natural bass and midrange tonality, but the clearly musical treble tone. Opt for amps with a neutral midrange and bass experience, but perhaps try also to hunt for that along with something known for excellent treble with a bit extra up yonder. Proper rig pairing is important. 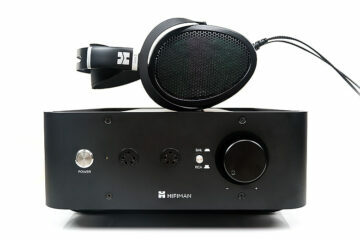 The fully musical from top to bottom Heron 5 is actually over-killing it for musicality on this one, and I’ve found that to be the case with most very musical headphones paired with very musical amps and sources. It is only for the die hard musicality chasers, like myself, that should be pairing very musical and exaggerating sources with top to bottom exaggerating headphones. If you aren’t like me in that regard, grab a mostly neutral DAC or Amp. To my ear, that seems to be the winning combo. How do I know this? My Euphoria from Feliks Audio is one of the most neutral bass and midrange amps I’ve ever tested, but my tube setup offers a sweet treble also on top of that. No matter what source I pair the Owl with, the formula is the same: neutral bass and mid tonality, sweet treble. It just so happens that my euphoria fits the Owl perfectly with tonality needs. Since I don’t own any other amps that do this that I could test with, I suggest you take some time and hunt for a similar sounding middle tier DAC or amp regarded for relatively neutral bass/mids, but also with sweet treble. You won’t be let down and I can’t recommend that course of action enough. The NightOwl is a solid improvement over the NightHawk, I think that much is vividly clear. With a fantastic build quality and high efficiency, this NightOwl will play nice with pretty much any portable source and still sound very good with it. Team AudioQuest is certainly on the rise and I couldn’t be happier. When a company directly tells me they looked at the customer needs of the last model and implemented the future model accordingly, that is the best sign possible. Keep an eye, or ear for that matter, on AudioQuest. I am sure they will be coming out with more fantastic headphones in the near future. 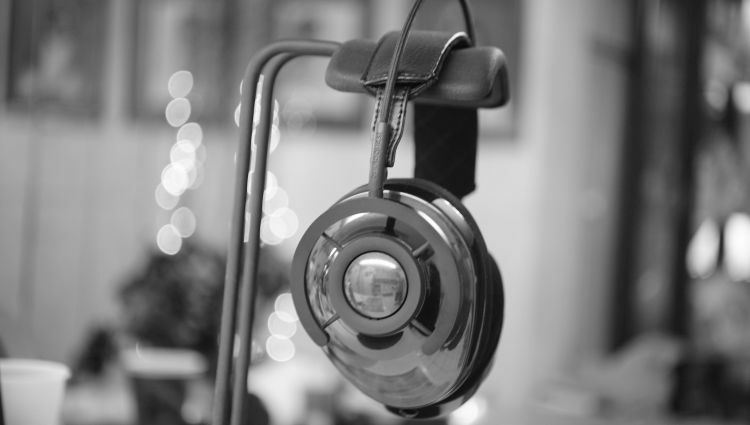 For now, the NightOwl is a solid choice of a closed back headphone with a very spacious image, sweet treble and a relatively neutral bass and midrange tonality. Great job, AudioQuest. Now that Skylar Gray (nighthawk/owl) designer has left AudioQuest, i don’t think they will release another headphone sooner, or later. That guy is the mastermind/brain behind their headphone success, letting him go is such a waste. Yeah, I read that, such a shame. Back to cables again for them? Thank you for the thorough review Michael. Could you please elaborate on the headband size? I have been looking for a decent, truly closed headphones and having a head sized above the average the comfort is a real issue. 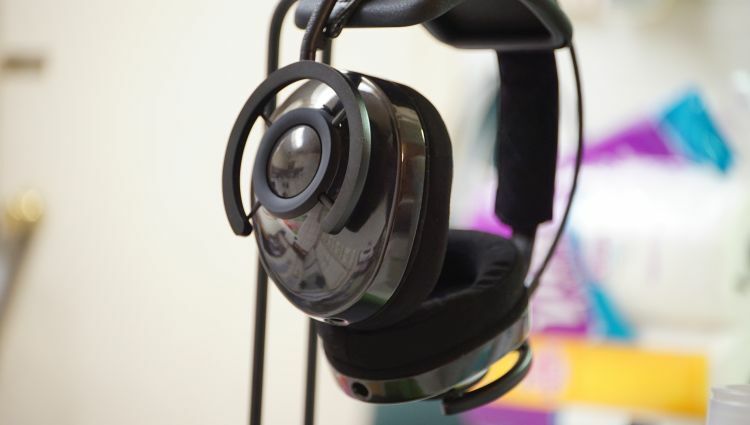 Actually I settled for comfort over hifi and use Pioneer HRM7 which I can wear for hours. It is rather curious that this reviewer describes the the upper frequencies in this way, particularly since the general consensus among other reviewers is a somewhat shelved or veiled top end with not a lot of sparkle while conversely lauding accurate and well defined bass handling and a forward, yet musical mid-range presence. This review is almost entirely an inverse description compared to what other internet publications have experienced, save for a brief tid bit about low end slam. 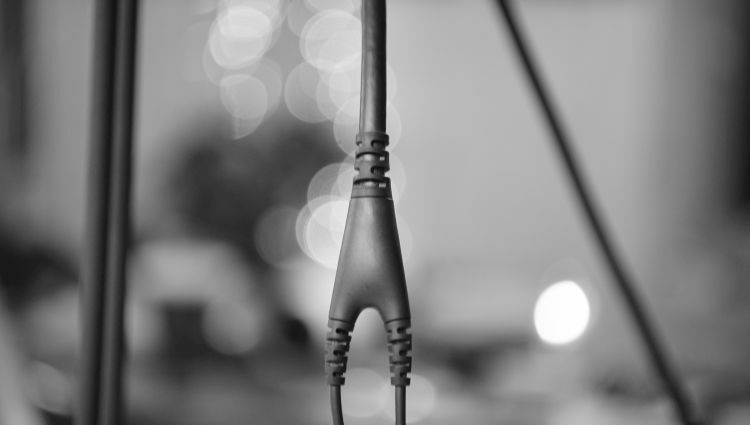 Could there be “burn-in” considerations, including choices of analog and digital D/A cables? I guarantee you that adios-ing the stock iPhone lightning USB cable to say, an AudioQuest Cinnamon or even better, Carbon, with a Jitterbug, will monumentally reveal far more detail, dynamics, rhythm and pace, depth, and dimension to any decently recorded material, while eliminating any harshness induced by “noise” in the signal path. Congratulations on a very well done review on the Nightowl’s. As an owner of the NO’s, I agree with most of your findings. Unfortunately, due to a relatively high msrp of $699 and Audioquest being a newcomer to the headphone segment with low brand recognition, the NO’s are not very popular with the typical head-fi crowd. A very well done review on the Nightowls. As an owner of the NO’s, I agree with most of your findings. Thank you. Unfortunately, with a relatively high msrp of $699 and Audioquest being a newcomer to the headphone segment with low brand recognition, the NO’s are not very popular with the typical head-fi.org crowd.